Very elegant antique French clock. Product code: 1278 Categories: Sold Items, Sold Watches. 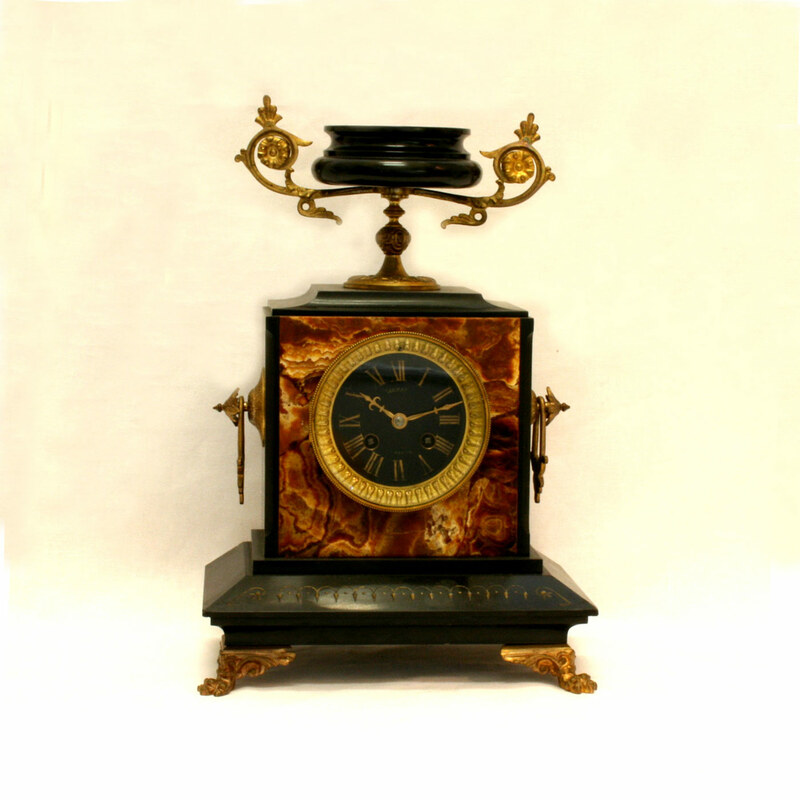 This is a fantastic French antique clock from the 1880’s that strikes on the hour and half hour and has a movement by the French maker Japy Freres and is fitted in a truly amazing case of black Belgium slate and red agate with an incredible natural pattern. With handles on the side, wonderful feet and the top with its scroll handles, the black dial makes this clock look so elegant. A fantastic antique French clock by Japy Freres.